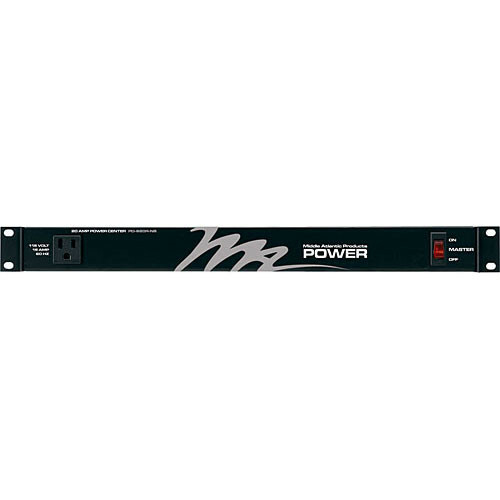 The Middle Atlantic PD-920R is a rackmount power strip. This power strip offers 8 rear outlets and 1 front outlet for a total of 9 outlets for power distribution. This model features 20 amp current capability. Surge and spike protection along with EMI filtering are all part of standard equipment features. Box Dimensions (LxWxH) 21.5 x 13.0 x 3.5"